A Chinese library with 1.2 million books. The design is meant to stimulate reading, walking meeting and discussing. 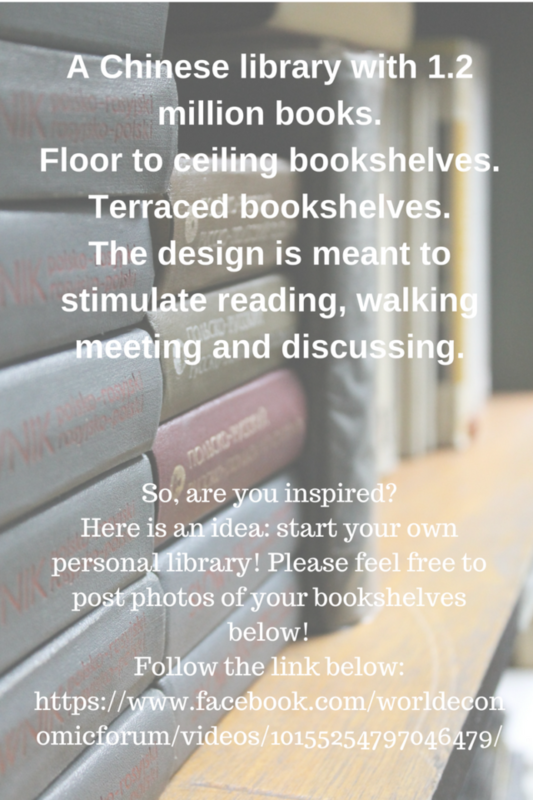 Here is an idea: start your own personal library! Please feel free to post photos of your bookshelves below!